Online articles about forest issues across the globe. 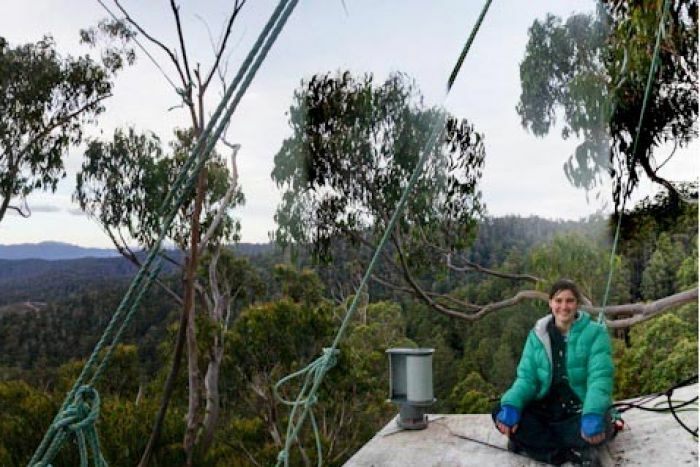 Tasmanian police are monitoring a remote southern forest where a farmer has set up camp under a long running tree-sit protest by an anti-logging activist. Police were called to the remote Tyenna Valley in Tasmania's south west-last night after farmer Michael Hirst set up his own protest at the tree which has been home to Miranda Gibson since December. Mr Hirst represents a pro-logging group called "Give it Back". He says members will take turns camping at the base of Ms Gibson's tree to voice their side of the forest debate. "We're here to fight for Tasmania's resources, the right for people to live in this state." Ms Gibson says as long as her supporters can work safely, she is not troubled by Mr Hirst's presence. "I'm a 100 per cent committed to staying in this tree and continuing to speak up on behalf of these forests," she said. Police have warned both protesters against escalating the situation. Tasmania's Greens leader is worried any escalation in the two protests could derail the forest peace talks as they enter their final days. Nick McKim says the forest negotiations are at a delicate stage. "Everyone has a right to peaceful protest no matter what their cause but we are concerned that this situation may escalate and we are calling for calm heads and cool heads to prevail," he said. "We're hoping that other community leaders and political leaders will echo that call." Former Australian Greens leader Bob Brown says he hopes Mr Hirst will learn to appreciate the forest during his camp out. "Good on Michael for having a different point of view and being prepared to camp out there, even if only for a few days," he said.